PARIS — The country of France is under a state of emergency as several terror attacks are unfolding in the country, with at least 150 believed dead. The first attack occurred outside of a soccer game late Friday. Reports state that suicide bombers blew themselves up at Stade de France stadium during a France-Germany soccer match. Two explosions were heard. “I’m still at the Bataclan. First floor. Hurt Bad! There are survivors inside. They are cutting down all the world—one by one,” wrote survivor Benjamin Cazenoves on social media. Bodies were additionally seen outside of Le Petit Cambodge restaurant where witnesses report seeing gunmen with assault rifles shooting at diners through the windows. “I was on my way to my sister’s when I heard shots being fired. Then I saw three people dead on the ground. I know they were dead because they were being wrapped up in plastic bags,” Fabien Baron told Reuters. There are reported deaths at Le Carillon café as well. 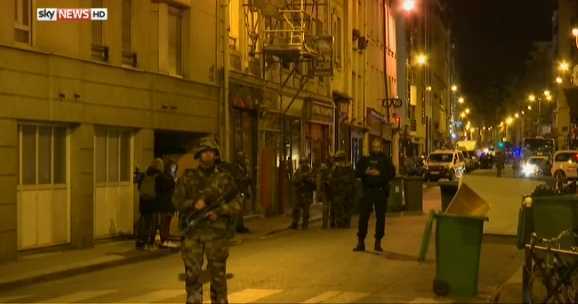 “Intense gunfire” was also reported at Les Halles, a shopping mall near the Paris town hall. The series of attacks are believed to be coordinated. A mandatory curfew is now in place, and the country’s borders have been sealed. One man has been arrested in the attack and is reported as stating that he was recruited by ISIS to carry out the assault.